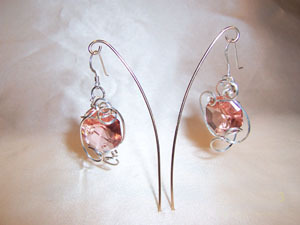 Antique chandelier crystal earrings created from pink lead crystal. An unusual color, sculpted in sterling silver. The ear wires are also sterling. Each measures 2.25"x.75'.